If you are looking for a guitar teacher or bass guitar lessons in Palos Park, Palos Music Workshop is here to help! Palos Music Workshop is one of the best private guitar studios in Chicago’s Southwest Suburbs. Palos Music Workshop accepts guitar and bass guitar students of all levels. 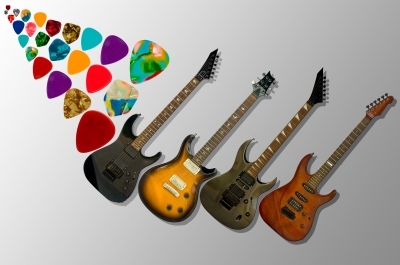 If you are a total beginner or an advanced guitarist, it doesn’t matter. Our instructors are very patient and will teach you at your pace. Whether you’re a child or teenager, college student, adult, or retiree; Everyone is different and we tailor our lessons to fit you. Palos Music Workshop teaches all styles of guitar playing. It doesn’t matter if you are interested in playing acoustic guitar or taking electric guitar lessons, we’ve taught and played pretty much everything. If you’re into rock bass guitar, jazz bass, folk, bluegrass, country, R&B, heavy metal, Palos Music Workshop can help you learn the techniques and theory behind each guitar style. If you are looking for quality music lessons near Palos Park please call or email Palos Music Workshop. 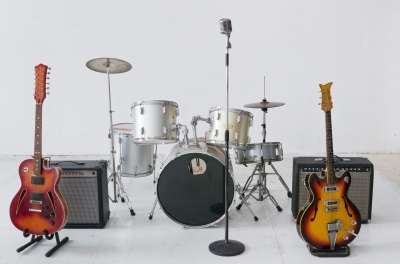 We have qualified instructors for bass guitar, guitar and drums. This entry was posted in chicago music lessons, guitar lessons and tagged alsip, bass guitar instructors, bass guitar lessons, bridgeview, burbank, chicago ridge, crestwood, drum instructors, drum lessons, guitar lessons, guitar teachers, hickory hills, hometown, lemont, midlothian, mt. greenwood, music lessons, oak forest, oak lawn, orland hills, orland park, palos heights, palos hills, palos music workshop, palos park, robbins, tinley park, willow springs, worth on March 31, 2014 by Palos. Palos Music Workshop offers the highest-quality music lessons in Chicago’s southwestern suburbs. We are located in Palos Park, IL. We are very proud of our role in the artistic life of our community. Palos Music Workshop teachers teach all kinds of music, so whether your interest is in classical, rock, jazz, folk, pop, country or anything else, we have the expertise to help you reach your musical goals. All of our instructors have a minimum qualification of a bachelor’s degree in music. Our faculty represent some of the finest musicians around , and includes graduates from Illinois State University. All ages and all levels are taught from beginner to advanced. We take a rounded approach to learning music, exploring technique, music theory, ear training, reading standard notation and tablature, improvisation and more. Lessons are individually tailored to suit each student’s interests and abilities and cover all musical genres. This entry was posted in chicago music lessons, guitar lessons and tagged alsip, bass guitar instructors, bass guitar lessons, bridgeview, burbank, chicago ridge, crestwood, drum instructors, drum lessons, guitar lessons, guitar teachers, hickory hills, hometown, lemont, midlothian, mt. greenwood, music lessons, oak forest, oak lawn, orland hills, orland park, palos heights, palos hills, palos music workshop, palos park, robbins, tinley park, willow springs, worth on March 28, 2014 by Palos. At Palos Music Workshop, we focus on teaching skills that enable students to play with confidence and ease through proper instrument mechanics, proper body usage and best methods for learning and practicing. Palos Music Workshop caters to all ages with a goal of transforming students into musicians. Our unique and innovative approach is derived from traditional music school pedagogy combined with tenets from psychology, holistic approaches to health and well-being, and communal creativity. 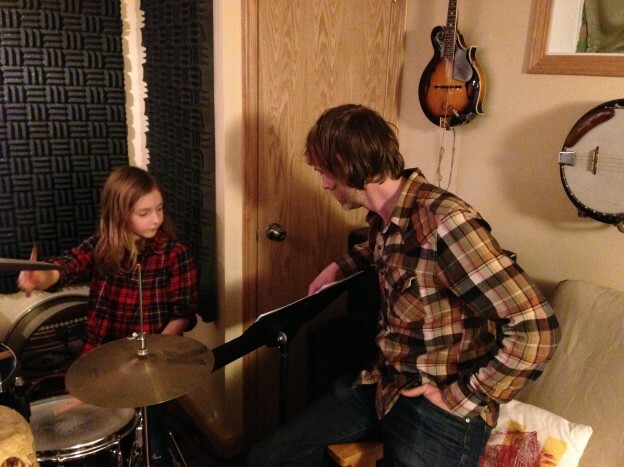 Palos Music Workshop offers guitar, bass guitar and drum lessons. For more information on rates and availability please contact Palos Music Workshop! This entry was posted in chicago music lessons, guitar lessons and tagged alsip, bass guitar instructors, bass guitar lessons, bridgeview, burbank, chicago ridge, crestwood, drum instructors, drum lessons, guitar lessons, guitar teachers, hickory hills, hometown, lemont, midlothian, mt. greenwood, music lessons, oak forest, oak lawn, orland hills, orland park, palos heights, palos hills, palos music workshop, palos park, robbins, tinley park, willow springs, worth on March 27, 2014 by Palos. Palos Music Workshop offers private, affordable, 1 on 1 drum lessons from Beginner, to Advanced Level, all designed to make YOU a better player. Lessons run either once weekly. You can book a one off lesson or stay with Palos Music Workshop for as long as you like! Palos Music Workshop drum lessons guarantee your best possible progress! The courses are designed to be fun, yet are packed with all the information you need to become a strong confident drummer, while giving you an understanding of how and why songs work. 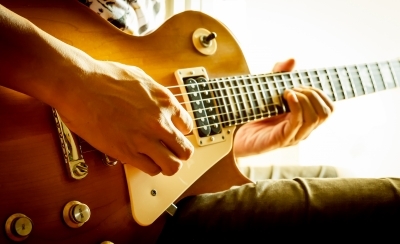 Ever wondered how to play rock, blues, country, or jazz? It’s all in our lessons!! Each individual drum lesson starts with an evaluation of your musical knowledge and background. we then tailor your learning to your needs as well as your growth, adjusting the speed and amount of work based on your progress. Palos Music Workshop is dedicated to helping you grow as a musician. Whether you just want to learn a few songs, or if you want to play like your heroes Palos Music Workshop can tailor drum lessons to suit your goals! This entry was posted in chicago music lessons and tagged alsip, bass guitar instructors, bass guitar lessons, bridgeview, burbank, chicago ridge, crestwood, drum instructors, drum lessons, guitar lessons, guitar teachers, hickory hills, hometown, lemont, midlothian, mt. greenwood, music lessons, oak forest, oak lawn, orland hills, orland park, palos heights, palos hills, palos music workshop, palos park, robbins, tinley park, willow springs, worth on March 26, 2014 by Palos. At Palos Music Workshop, we can show you how to play guitar in the style you want and put together a customized guitar lesson path that will keep you interested, excited and challenged. We enjoy teaching those who think they have absolutely no musical ability! Palos Music Workshop guitar instructors teach many styles: blues, classic rock, modern rock, pop, alternative, heavy metal, punk, jazz, country, jamming, improvisation, composition, songwriting, acoustic, folk, and more. We customize a method based on your musical goals, whether you want to strum songs around the camp fire, learn to sing and play, write songs, shred, improvise, or learn about scales and theory. 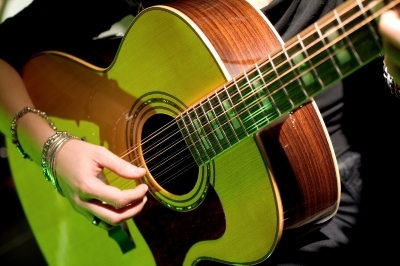 Palos Music Workshop offers flexible scheduling and affordable guitar lessons. This entry was posted in chicago music lessons, guitar lessons and tagged alsip, bass guitar instructors, bass guitar lessons, bridgeview, burbank, chicago ridge, crestwood, drum instructors, drum lessons, guitar lessons, guitar teachers, hickory hills, hometown, lemont, midlothian, mt. greenwood, music lessons, oak forest, oak lawn, orland hills, orland park, palos heights, palos hills, palos music workshop, palos park, robbins, tinley park, willow springs, worth on March 25, 2014 by Palos. Palos Music Workshop offers guitar lessons in Palos Park, IL with professional, qualified guitar instructors. 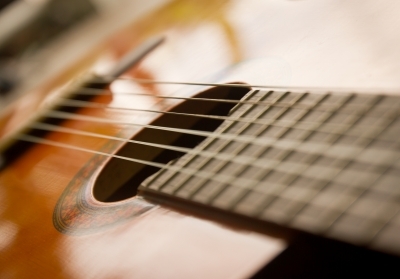 Palos Music Workshop guitar studio is also convenient for Chicago’s Southwest Suburbs areas! We are a local team of qualified and highly trained professional educators and we take music education seriously. 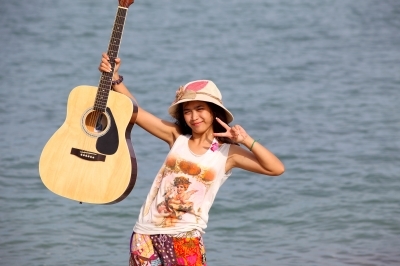 Why learn guitar with Palos Music Workshop? Palos Music Workshop is not a guitar teacher referral service, We are a provider of professional guitar instructors with top notch credentials, university degrees, performing, and/or recording experience. 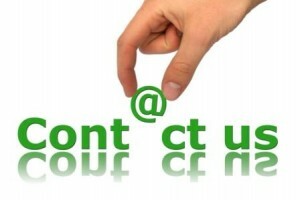 We offer professional instruction with guitar lessons, bass guitar lessons and drum instruction. Our guitar lessons prices are the same, in most cases lower, than your local music store!!! This entry was posted in chicago music lessons, guitar lessons and tagged alsip, bass guitar instructors, bass guitar lessons, bridgeview, burbank, chicago ridge, crestwood, drum instructors, drum lessons, guitar lessons, guitar teachers, hickory hills, hometown, lemont, midlothian, mt. greenwood, music lessons, oak forest, oak lawn, orland hills, orland park, palos heights, palos hills, palos music workshop, palos park, robbins, tinley park, willow springs, worth on March 24, 2014 by Palos. 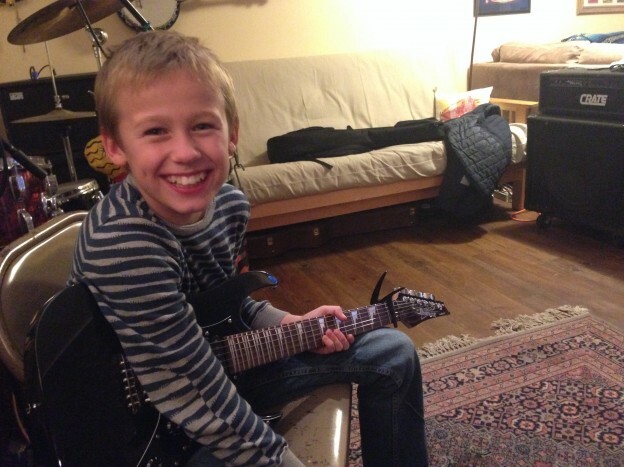 Private music lessons at Palos Music Workshop are exciting and fun! Our mission is to provide music lessons in a fun learning environment where you will feel comfortable, while being supported in working toward your potential. Our teachers will inspire you and become your personal music coach, giving you new techniques, tools, guidance, and feedback to nurture your talent and fuel your love of music! Our teachers are accomplished, talented musicians who have the gift of being able to share with, inspire, and develop others. Their passion is to help you learn, have fun, and achieve your musical goals! From Classical to Heavy Metal and everything in between, we cater to a full range of musical interests and talent. Ready to sign-up for guitar lessons? This entry was posted in chicago music lessons, guitar lessons and tagged alsip, bass guitar instructors, bass guitar lessons, bridgeview, burbank, chicago ridge, crestwood, drum instructors, drum lessons, guitar lessons, guitar teachers, hickory hills, hometown, lemont, midlothian, mt. greenwood, music lessons, oak forest, oak lawn, orland hills, orland park, palos heights, palos hills, palos music workshop, palos park, robbins, tinley park, willow springs, worth on March 21, 2014 by Palos. Palos Music Workshop looks to provide people of all ages the chance to experience the joy of playing guitar. We have guitar teachers who love what they do and expressing their love of making music with their students. 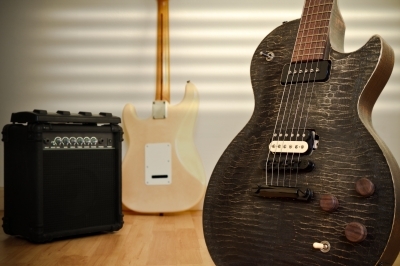 Our private music studio provides a relaxed, clean environment for students to learn guitar. Learning to play an instrument increases confidence, coordination, concentration and self-discipline. Making music “exercises” the whole brain and mind, contributing to increased performance in math, science and reading. It’s never too late to begin to enjoy making music! The joy of music belongs not just to the great symphony orchestras or to musicologists…it belongs to everyone! Making music purely for the joy of hearing sounds that delight you is one of the most powerful forms of healing and self-expression. Palos Music Workshop takes a rounded approach to learning music, exploring technique, music theory, ear training, reading standard notation and tablature, improvisation and more. Lessons are individually tailored to suit each student’s interests and abilities and cover all musical genres. This entry was posted in chicago music lessons, guitar lessons and tagged alsip, bass guitar instructors, bass guitar lessons, bridgeview, burbank, chicago ridge, crestwood, drum instructors, drum lessons, guitar lessons, guitar teachers, hickory hills, hometown, lemont, midlothian, mt. greenwood, music lessons, oak forest, oak lawn, orland hills, orland park, palos heights, palos hills, palos music workshop, palos park, robbins, tinley park, willow springs, worth on March 20, 2014 by Palos. Palos Music Workshop brings music and music education to Chicago’s Southwest Suburbs. Music education has been the foundation of Palos Music Workshop. 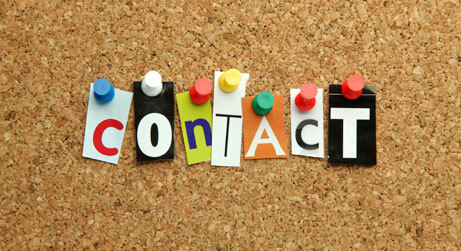 Whether you are a new student or have been studying for 5 years, or 100, we have instructors to fit your needs. • Offering one on one instruction for guitar, bass guitar and drums. Beginner instruction in mandolin and banjo also available. This entry was posted in chicago music lessons, guitar lessons and tagged alsip, bass guitar instructors, bass guitar lessons, bridgeview, burbank, chicago ridge, crestwood, drum instructors, drum lessons, guitar lessons, guitar teachers, hickory hills, hometown, lemont, midlothian, mt. greenwood, music lessons, oak forest, oak lawn, orland hills, orland park, palos heights, palos hills, palos music workshop, palos park, robbins, tinley park, willow springs, worth on March 19, 2014 by Palos. Palos Music Workshop is professional music studio offering guitar lessons, bass guitar lessons and drum lessons in Palos Park, IL. Beginner instruction in mandolin and banjo also available. All ages and all levels are taught from beginner to advanced. The key to our growth and success has been connecting highly experienced teaching professionals wiht local enthusiastic students. All Palos Music Workshop instructors have music degrees, a dependable background and great musicianship. Every Palos Music Workshop teacher has a commitment to creating a fun, friendly and patient approach to teaching. Palos Music Workshop strives to provide the most musically enriching instructions for a variety of instruments and musical styles. We focus on the individual progress of each student to build what we feel is essential – a comfortable and trusting relationship to teach real music. This entry was posted in chicago music lessons, guitar lessons and tagged alsip, bass guitar instructors, bass guitar lessons, bridgeview, burbank, chicago ridge, crestwood, drum instructors, drum lessons, guitar lessons, guitar teachers, hickory hills, hometown, lemont, midlothian, mt. greenwood, music lessons, oak forest, oak lawn, orland hills, orland park, palos heights, palos hills, palos music workshop, palos park, robbins, tinley park, willow springs, worth on March 18, 2014 by Palos.